Planning Commission is comprised of seven members appointed to three-year terms by City Council or the Mayor. Meet your 2019 MEMBERS! Members are paid a compensation rate of $300.00 per month. Regular Meetings take place as needed on the 2nd & 4th Wednesdays of each month (with the exception of November & December) at 7:00 pm. Special Meetings are announced as necessary. Workshop Meetings are held for informal discussions. No formal action is taken at workshop meetings. Workshop Meetings are announced as necessary. Advise the Council concerning the preparation of plans and maps for the future physical development and harmonious improvement of the Municipality. Evaluate the planning and design, location, removal, relocation and alteration of new, renovated, or expanded structures; any public building or structure and public property; the location, widening, extension and vacation of streets, alleys, public ways, parks, playgrounds, recreation areas and other public places. Approve plats for the subdivision of lands. Regulate and restrict the location of buildings and other structures and of premises to be used for trade, industry, residence, or other specified uses. Regulate and limit heights of buildings or other location of buildings or other structures to be erected or altered. Regulate the bulk and location of buildings and other structures to be erected or altered, including the percentage of lot occupancy, set back building lines, and the area of yards, courts and other open spaces; and such other powers and duties as may be imposed upon it by resolution or ordinance of Council. For inquiries on submitting an application for review by Planning Commission, please contact the Zoning Division. Applications on a Planning Commission agenda can be viewed online, and are available in the Council office. To comment on an application, attend the Regular Planning Commission Meeting. Before the meeting commences, complete a speaker slip and submit it to the Clerk. During the “Applications – Public Comment” section of the agenda, under that application, you will be called to the podium, asked to state your name, and allotted time to speak. Refer to the Planning Commission Rules of Procedure for the order of the meeting and public comment rules. 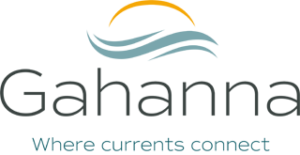 If you are unable to attend a meeting, you can submit your comments in writing to planningcommission@gahanna.gov.